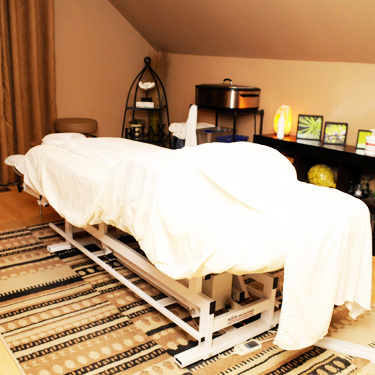 Massage therapy is provided by Tara North, RMT, Registered Massage Therapist at Alliston Chiropractic Wellness Centre. Tara graduated from the Massage Therapy Program in 2009. As a former National and Provincial Gymnast, Tara has been an active member of the community for a number of years and with the sport of gymnastics by coaching one of the Provincial Teams at the Alliston Nikolettes. She is also a Level 2 NCCP Certified Coach for Women’s Artistic Gymnastics, as well as Trampoline. Tara is a long-standing resident of the Alliston area and has known Dr. Kent Newton for more than 15 years. She is excited and looks forward to assisting new and existing clients to achieve their goals and helping them maintain optimal health and well being. A massage is performed by a Registered Massage Therapist who has completed a comprehensive training program to become a regulated health professional. In addition to their initial training, Massage Therapists are required to continue upgrading their skills in order to maintain their license to practice massage therapy in Ontario.